We went to Bar Avignon. This was our first time there and we loved it. I was so stoked that the sun was finally setting later and I could get some good pictures, but by the time we got sat down and food started coming out, sun was down. 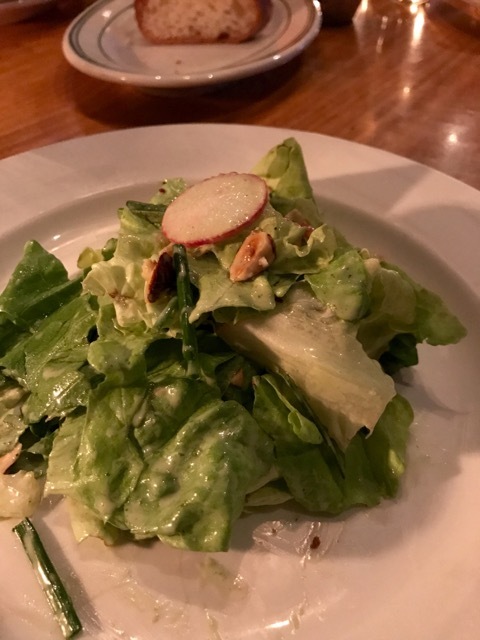 For the first course I chose the Butter lettuce with radish, hazelnut, herbs and green goddess dressing. I love butter lettuce and the dressing was quite subtle. 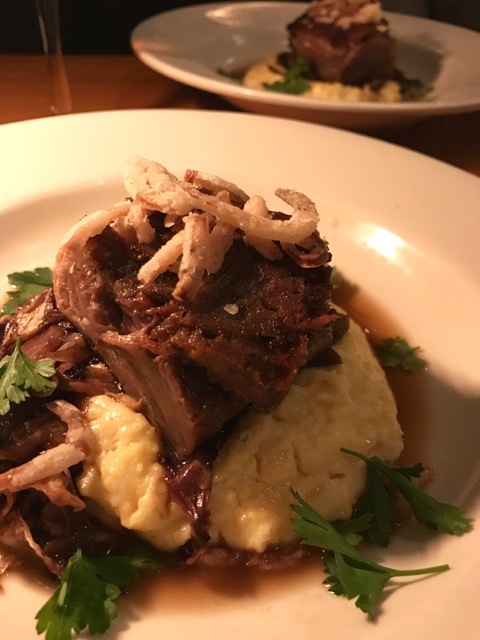 Second course was the Pork shoulder confit, creamy polenta, charred radicchio, fried shallot and pork jus. I’m a sucker for pork, so it was no surprise I chose this dish. Very tender, great flavor and all piled on polenta. What more can you ask for? My friend got the Tagliatelle with rabbit ragù, escarole, rosemary, roasted garlic and Piave. It was outstanding. Definitely a dish I would go back and have again. 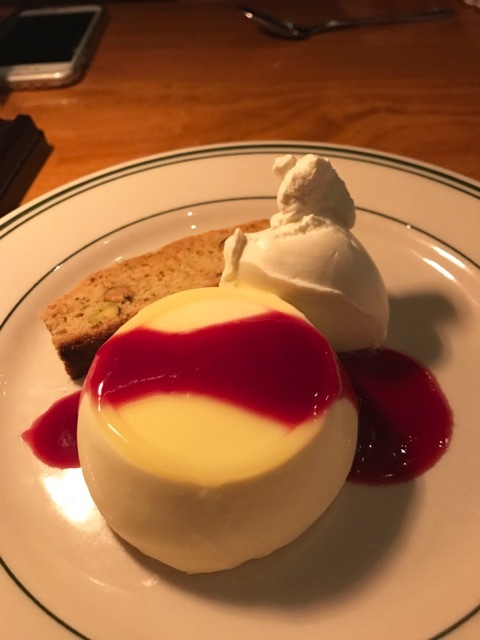 Since there were more than one of us doing the Portland Dining menu we chose both desserts. 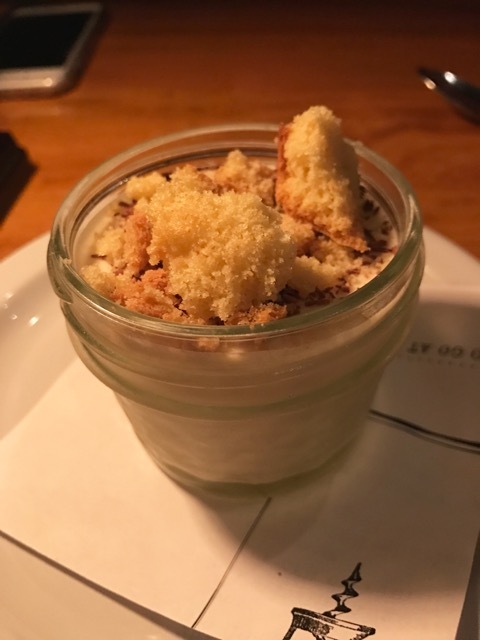 Saffron panna cotta, blood orange, pistachio, biscotti and yeasted Chantilly cream and the Earl grey mousse with vanilla sponge cake croutons and dark chocolate shavings. Loved them both. I loved trying this place for first time with Portland Dining Month. I would definitely go back and try a few other things as well. Atmosphere was great in this small restaurant. I loved the partially open space in back for larger parties too. Pricing was $29 for all 3 courses with Portland Dining Month. Drinks were ok. I don’t do sweet, but everything needed to be a little bit sweeter to me. Like lemon drops and whiskey sours. Bar Avignon is located in SE Portland off of Division Street.